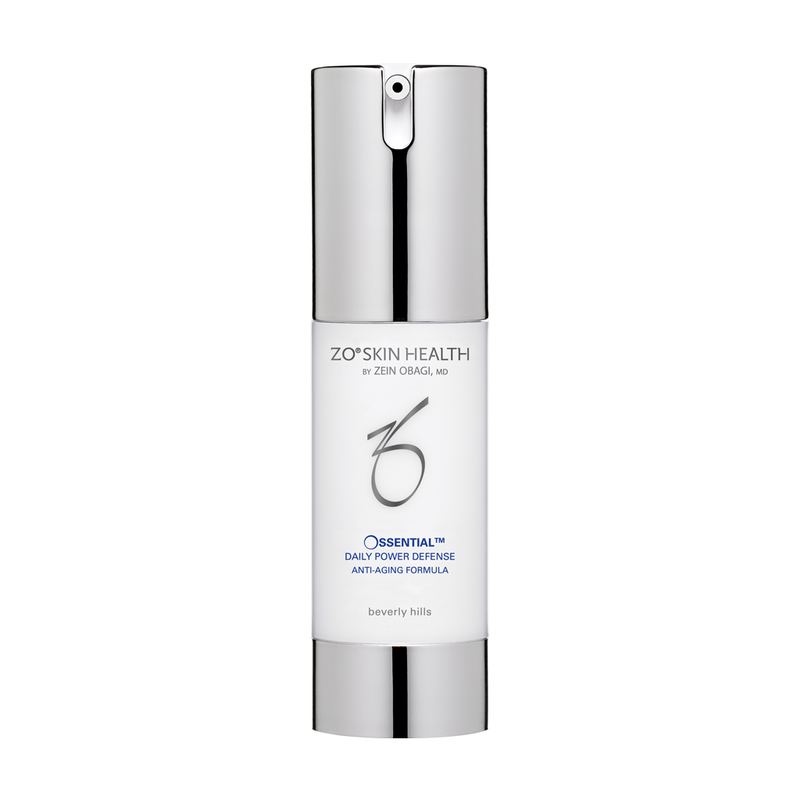 The Shaw Center offers a wide range of skin care products, but one of the best selling products is ZO Skin Health’s Daily Power Defense Anti-aging Formula, which helps to restore both your skin’s function and elasticity. This bottled up fountain of youth provides continuous results and solutions without much effort on your end at all. For over three decades, Dr. Zein Obagi has mindfully crafted a wide spectrum of therapeutic skincare products and treatments that are exclusively available through skin health professionals, such as our own center. ZO combines all the latest advances in skin therapy technology, such as plant cell components and biotechnology complexes, with regard to all skin conditions, ages, genders and ethnicities in order to provide the best and most effective outcomes. ZO’s Daily Power Defense is a retinol-based formula that maximizes the penetration of retinoic acid to reduce signs of aging, such as fine likes, wrinkles, sun damage and age spots. This magic ingredient comes from vitamin A and is one of the few substances with small enough molecules to reach skin receptors in order to stimulate the natural production of collagen and elastin, which in turn help to create healthy skin. Daily Power Defense not only employs retinol to the skin, but it is also rich in other specialized DNA repairing enzymes that work around the clock. By implementing this anti-aging soldier into your beauty routine you are not only restoring skin function, but also preventing against UV damage and minimizing pigmentation. Our Shaw Spa also provides many other products, as well as alternative options to repairing and rejuvenating your skin. Schedule your complimentary consultation to discover what the best route for you is.